Getting affordable motor vehicle finance in South Africa can seem like a nightmare, especially if you’re buying a car while blacklisted. Getting your vehicle finance application denied can leave you with little hope of ever being able to gain mobility and independence from the public transport system. 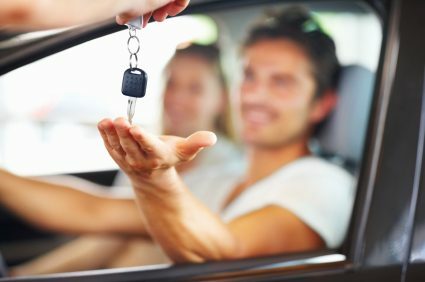 Thankfully, Earn-A-Car’s progressive rent-to-own business model provides easy vehicle finance that’s accessible even to those with a bad credit record. As long as you have proof of permanent employment with a steady income stream, and you’re able to meet a few simple requirements, you could be signing on the dotted line within a day. And you’ll be able to improve your credit rating in no time. One way that Earn-A-Car can help you to purchase a car despite being blacklisted is through their cash back offer, whereby you get paid a R300 incentive every time you make a monthly payment. This can be paid to you as a lump sum once your rental agreement with Earn-A-Car comes to maturity. And when you combine this money with your initial down payment, you’ll be able to easily pay your car in full. This incentive will motivate you to make your monthly payments on time which will steadily improve your credit record to help you get un-blacklisted. And you’ll have your own car within a few short years through simple and convenient vehicle finance. Other attractive features offered by Earn-A-Car’s easy vehicle finance include a comprehensive vehicle warranty which includes cover against accidents, theft, fire, loss and a R250 contribution towards your car servicing expenditure. And all this is included in your monthly repayment amount. Find out how Earn-A-Car makes it easy to get car finance with bad credit by contacting us on 080 327 6222.